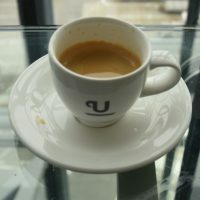 An occasional series of posts detailing my travels rather than the coffee I find along the way. Today’s Travel Spot represents a somewhat new direction for the Coffee Spot. 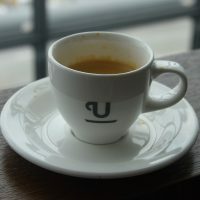 Traditionally, I’ve written about coffee/coffee shops in my main posts, or about my specific travels in the Travel Spot posts. 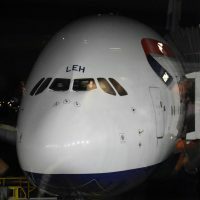 Today represents the first time that I’ve written about a general travel subject: jet lag. Normally when I write about my flying, I stick to the actual experience. However, criss-crossing the globe has its downsides, one of which is the crushing tiredness that is jet lag. I’ve never been as tired as when I’m suffering from jet lag (caveat: I’ve never had children, so cannot compare my experiences to having a new-born in the house). I’ve been suffering from jet lag on my current trip to Shanghai, which is what prompted me to write this piece. 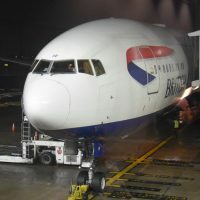 Like all my Travel Spots, it’s about my subjective experiences: the times when I’ve had jet lag, what causes it and what I do (sometimes not very successfully) to avoid it. If this one is well received, then I might write more occasional posts like this. Welcome to the third and final instalment of the first Travel Spot of 2019, covering my first trip of the year. 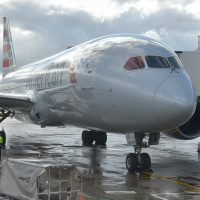 This started when I flew to Phoenix on the 4th January, getting upgraded to First Class along the way, and ended with my return from Chicago on 1st February, when I had to slum it in business class. Along the way I spent two weeks in the warm, winter sun of Arizona and New Mexico and then flew from Phoenix to Chicago, arriving in time for the polar vortex and the second coldest spell in Chicago’s history. In all, I spent four days in the suburbs, hanging out with my friends, before catching the commuter train into Chicago proper, which was when it got really, really cold. Perhaps fortunately, I was there for work and, knowing the reputation of Chicago winters, had already booked the hotel in the same building as my office, so I didn’t actually have to go out… The downside was that I only had a single day to explore, but, given the weather, that’s probably just as well. Then, as soon as my meeting was over, I was off to O’Hare for my flight home. 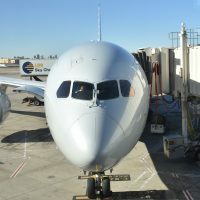 Welcome to the second instalment of the first Travel Spot of 2019, which started when I flew to Phoenix on the 4th January, getting upgraded to First Class along the way and experiencing not one, but two sunsets. I spent a week in Phoenix for work, visiting what coffee shops I could, before taking week-long road-trip east through the mountains of Arizona and southern New Mexico, returning through the desert to Tucson, where I spent a long weekend hiking and visiting coffee shops. Finally, I drove back to Phoenix on Tuesday, 22nd January and caught a flight to Chicago. Well, tried to. Welcome to the first Travel Spot of the new year, on my first trip of 2019. I’m heading to Phoenix, spending a couple of weeks enjoying the winter sun, then flying to Chicago (which will be an interesting contrast) before returning at the end of the month. 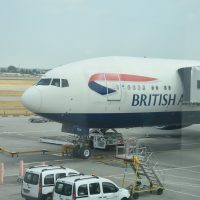 As usual, I’m flying with British Airways (American Airlines for the Phoenix-Chicago leg). I’ll say up front that this was not meant to be about me flying First Class to Phoenix. Right up until I reached the check-in desk, I thought I was flying Club World and was quite surprised to be told that I’d be moving up to First Class, just the second time that I’ve been upgraded in my life (the other was 10 years ago, an upgrade to Club Europe when returning from Madrid). 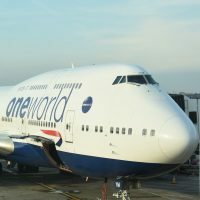 Last week I wrote about my flight from Manchester to Tokyo’s Haneda airport via Heathrow. This week it’s the turn of my flight back, on Friday, 27th July, two weeks to the day after I flew out. 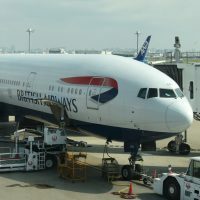 As I mentioned in the previous Travel Spot, Tokyo has two international airports, Haneda and Narita, with British Airways having one flight per day to each. 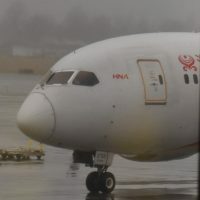 It’s perfectly possible, by the way, to fly into one airport and out of the other, but, as with my flights over, price dictated that I flew both into and out of Haneda. This left me on the 08:50 flight from Haneda, an entirely unreasonable time to be at an airport, let alone to be taking off from one. Since we were heading west, this was a daytime flight, scheduled to arrive at Heathrow at 13:10 local time on the same day, 12 hours and 20 minutes later. From there I had a connecting flight to Manchester at 16:00, touching down in at 17:05, a mere 16 hours after I set off. However, before any of that could happen, I had to get to the airport from my hotel in Nishi Azabu.